I just completed treatment for periodontal (gum) disease, including surgery. My periodontist told me I should continue to have periodontal maintenance cleanings every three months. Why would this be necessary? Periodontal Maintenance (PM), which includes professional teeth cleaning, is a topic that has been extensively researched and reported in the scientific literature for over 50 years. Let’s explore why. Periodontal disease (“peri” – around; “odont” – tooth) is caused by an interaction of longstanding biofilm (dental plaque) — that collects on your teeth at and below the gum line — and your body’s immune (resistance) system. But of course, it’s not quite that simple. Although referred to as one disease, periodontal disease is actually a group of diseases, all of which lead to the same result — loss of the bone that supports the teeth and, ultimately, the teeth themselves. It starts as gingivitis, inflammation of the gum tissues. Unless this is treated, most adults will develop a more serious form of periodontal disease called periodontitis. This is characterized by loss of bone, gum tissues, and the ligament that connects them to the teeth. Periodontal disease increases with age: 70.1% of adults 65 years and older have periodontal disease. Periodontal treatment is aimed at removing the etiology (cause of the disease) — biofilm and calcified plaque (calculus or tartar) — from the teeth and root surfaces, and eliminating contributing factors that lead to their retention, like root surface irregularities and roughness. Your periodontist (a specialist in the diagnosis and treatment of diseases of the supporting structures of the teeth) or his or her hygienist will teach you how to effectively remove dental plaque (biofilm) at home through daily brushing and flossing, and will give you a meticulous, professional cleaning of the crowns and root surfaces of the teeth. Periodontal treatment is also aimed at controlling risk factors like smoking, keeping you healthy and minimizing stress. Any inflammatory condition that affects your health — diabetes, cardiovascular disease, and rheumatoid arthritis for example — can also make periodontal disease worse, and vice versa. Although you’ve completed periodontal treatment, which included surgery, and you may now be disease-free, this doesn’t guarantee a cure. Periodontal treatment corrects the effects of the disease — gum detachment and bone deformities — to restore your periodontal health, but it doesn’t change your susceptibility. Without continuing maintenance care, periodontal disease can recur. This gets to the “why” of periodontal maintenance. Because periodontal disease is a complicated group of diseases, with both systemic (general body) and local factors (specific to your mouth), every case has to be evaluated on an individual basis. The more factors that your periodontist can account for and control, the better chance you will have of safeguarding your periodontal health going forward. A lot more takes place at a PM appointment than just cleaning your teeth. The main goals are: to prevent or minimize recurrence of disease around teeth (and dental implants); to reduce the incidence of tooth (or implant) loss; and to increase the probability of finding and treating other conditions that may be occurring. Periodontal Maintenance — One Size Fits All? 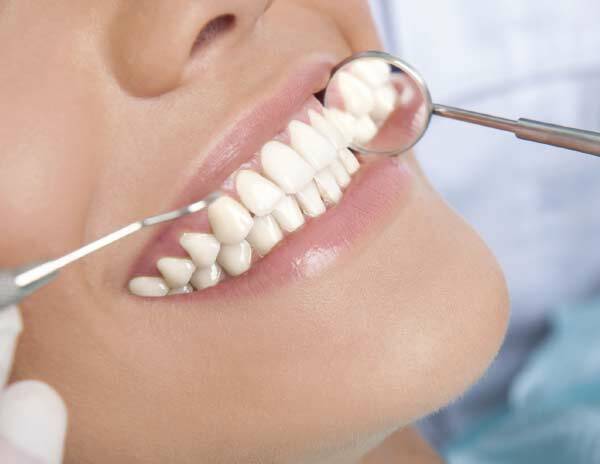 How often, then, do people who have been treated for gum disease need periodontal maintenance? Intervals ranging from every other week up to eighteen months have been studied. For individuals with gingivitis, PM may be adequate at six-month intervals to begin with. For individuals like you with a history of periodontal disease, the data from the majority of the scientific studies suggest that a three-month PM interval will result in decreased likelihood of progressive disease compared to individuals receiving maintenance on a less frequent basis. However, a three-month interval is not sacrosanct. For those with more aggressive variants of periodontal disease, it may be necessary to have PM every two months. Additionally, systemic medication, topical antibiotics or other anti-bacterials, for example, may be needed to support maintenance. Especially in the immediate post-surgical period, PM beginning at three-month intervals allows your periodontist the time to individualize and personalize follow-up care to ensure your dental health is stable. Depending upon a variety of factors, including your own ability to maintain optimal daily hygiene (biofilm or plaque control), the interval may be reduced to four or even six months depending upon progress and experience over time. Periodontal maintenance at three-month intervals, given all we know, is a good “one size fits all” place to start at your stage of treatment for prevention of recurrence.